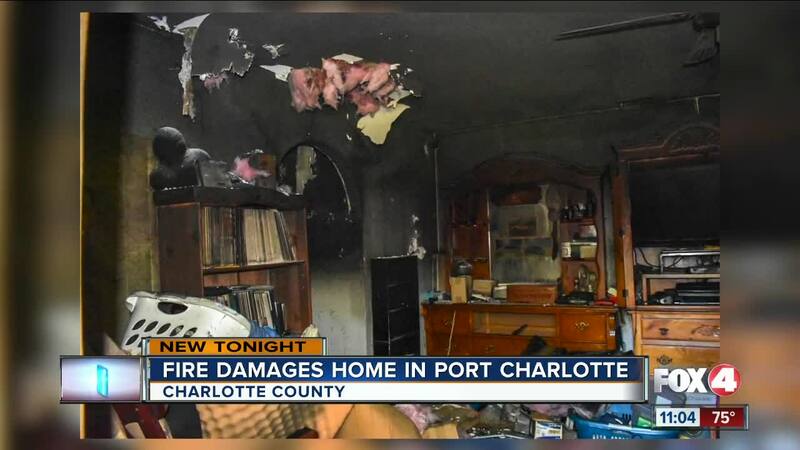 PORT CHARLOTTE, Fla. -- A house fire has left a homeowner with some pretty hefty damage inside. It happened Wednesday afternoon in the 2000 block of Sunninglow Street in Port Charlotte. Crews got a call about white smoke coming from the roof. When firefighters got there they found the fire in a back bedroom, bathroom, and closet. They quickly got the flames under control and extinguished the fire, but the entire house sustained heavy smoke damage. The state fire marshal is now investigating what caused the fire.